Happy Monday! How is it already almost the end of December and the end of 2013? Time flies. 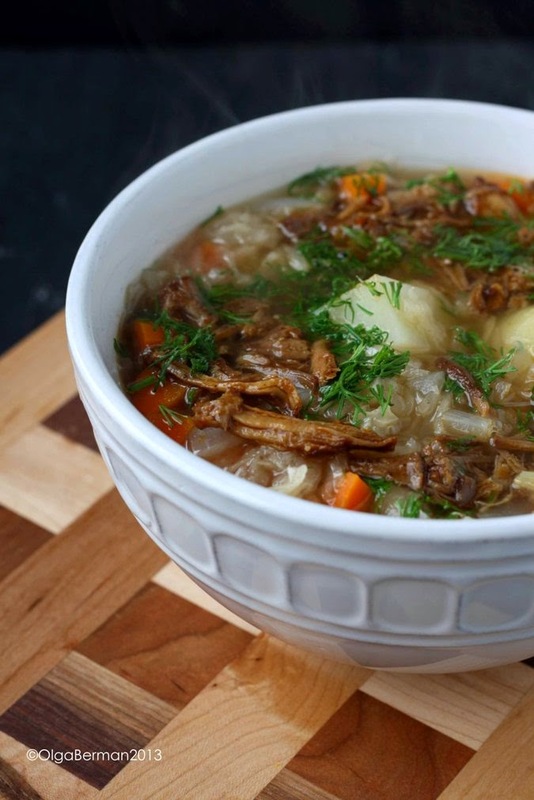 Did you miss my Russian Recipes Revisited post in November? I actually made a recipe for Plov, a rice dish with carrots and beef, but I used an inexpensive rice which cooked up to be a mushy consistency, which made for horrid photos. So I'm not sharing that one. 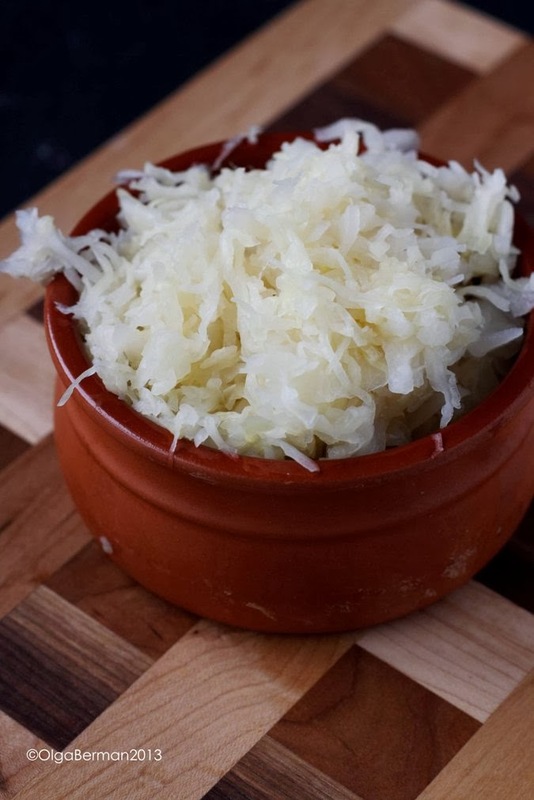 But I am sharing a recipe for Sour Schi aka Sauerkraut Soup with you today. If you have trouble pronouncing borsch, I'm guessing schi will not be any easier. 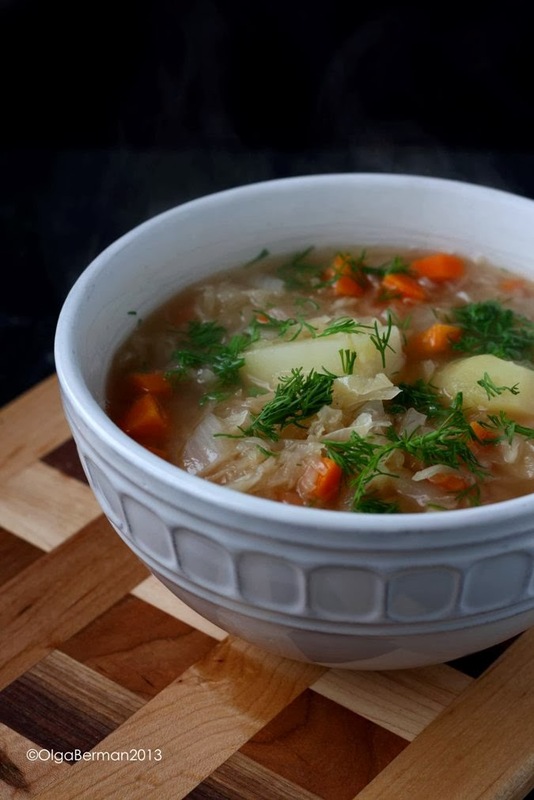 Lucky for you, both soups are easy to make and delicious. 1. 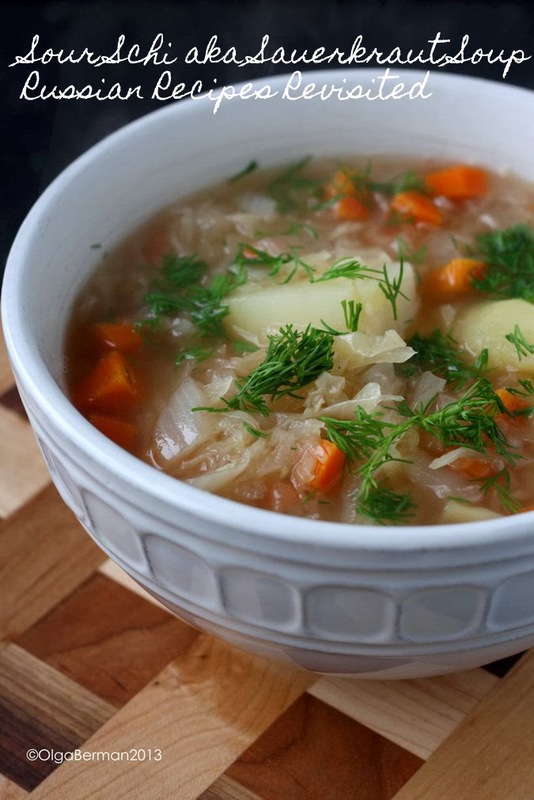 In a large soup pot, cover the potatoes with water and cook for about 10 minutes. You don't want potatoes to be completely cooked through. 2. In a skillet, heat the olive oil, add onions and carrots and season with salt and pepper. Saute the vegetables for 15 minutes. You want to sweat the vegetables instead of making them brown. 3. 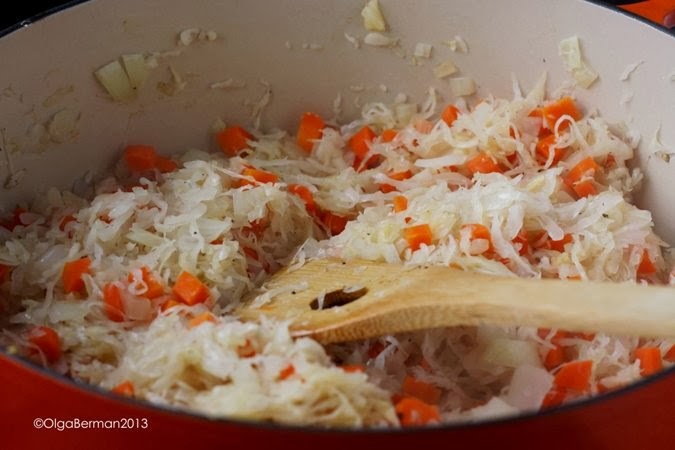 Rinse and drain the sauerkraut and add to the carrot/onion mixture and saute for 10 more minutes. 4. Add the vegetables to the soup pot with the water and potatoes. Pour in the beef broth and add two bay leaves. Bring the mixture to a boil, lower the heat and simmer for about 30 minutes. Make sure the potatoes are cooked through. This is quite a thick soup. If you want yours to be thinner, add more liquid. And here's where the pork came in: I had some leftover pulled pork (I'll share the recipe later this week), and decided to also add it to the soup: delicious! !